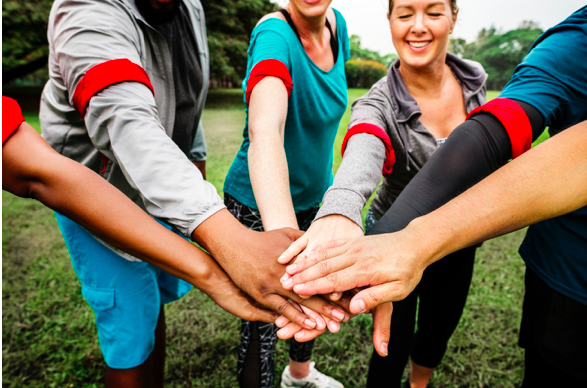 Home » Make Your Team Building More Memorable and Better Than Ever! One of the most awaited events by the working people is their company’s team building. Team building is usually done not only to take a break from loads of work and stressful day in the office but also to build confidence and an efficient bond between the workforces. So, if you’re deciding on planning the next team building of your company, the answers are almost right in front of you unless you switch onto a new article, don’t just plan for another team building, instead make it a more memorable and better one. Continue reading and scrolling and let yourself pick up all these suggestions. WHAT DO YOU WANT TO ACCOMPLISH AFTER THE TEAM BUILDING? It’s obvious that when you run a certain project, you’ll surely be required to allocate a certain budget to make that possible. So, expect that when you plan a team building retreat, you’ll be pulling out some amount of money out of your pocket. But, don’ worry because it will all be worth it once you achieved your mission and witnessed all the waves of laughter that the team building retreat brought to you and your company. In deciding for a certain amount of budget, you must consider the number of attendees, the number of days the retreat will be held, the possible expenses like the accommodation, transportation, foods, uniforms, and so on. After determining your goals or mission and allotting budget for the team building, then it’s now time for you to choose on the best location. It’s important that you choose the most unique and relaxing location because it’s one of the most awaited things to witness by the employees –it’s also one of the primary things that will create a mark on their hearts and minds. Picking the best good-to-go date will surely be the bloodiest one. Because there will surely be oppositions especially if there are loads of work and the proposed date falls on the working days. So, the best thing you can do is to gather all your employees’ sides or conduct a simple survey. However, for some time, scheduling a date is depending on the availability of the chosen location or the weather. But whatever it takes, you must all do your very best to make your team building happen. After surpassing the date selection, one thing that you must consider next is the source of transportation. Since you’re travelling as a company, it’s highly advised for you to at least check on minibus hire or any transportation means that you may consider. The safety and security of the passengers must always be the top priority of the transportation company that you’re considering. It’s advised for you to go for hiring a minibus since it can give you a comfortable ride and could divide your company by teams. Each team can have their own privacy as well as an ample time of planning for the possible techniques or strategies to be applied in the game proper. To intensify and to truly give life to the team building retreat, the inclusion of unusual and most challenging games must not also be forgotten. But of course, the games must deliver solutions or be able to make your goals happen. These games will be the ones to give life and so much excitement in the whole company. Without these, the event would be nothing – lifeless and seem unplanned. This suggestion is one of the things that I really like the most. If you’re planning to make a team building happen then don’t make your employees call you on your certain designation. Make them feel for at least one day that you’re all equal and no one is superior. Also, if you’ll let them call you on your title, then there might be an instance that it could affect their performance on the certain part of activities and this is prone to having special treatment. After the successful organization of the team building retreat, make sure to gather your employees’ thoughts or feedbacks regarding the said event. This is to somehow see if you were able to meet your goals and also to know if they had fun. Also, together with their feedback, try to get their suggestions so you could apply it on your next team building retreat plans. So, that would be all but these are only some of the plenty ideas you can try to make your team building a successful one. Don’t forget to share your stories and experiences once you efficiently make the event happen. Kath Ramirez is a journalism graduate who aims to turn her dreams into her passion. Her love for writing started when she was seven years old, reading illustrated books. Writing articles, reading books, and dancing is her passion and she breathes into life with these. Kath is also engaged in exploring different places to stay for vacation or Holidays and a food addict but health conscious. She now writes for BelleVue Coach Hire Manchester, an award-winning business that’s quality branded in Manchester. Next post: Make Family Time a Fun Time With These 5 Awesome Ideas!